May 13 was also Sergeant Cowart’s 10th anniversary of his alive date where he lost his left leg to a suicide bomber in Iraq during his time serving in the War on Terror. In addition, Cowart suffered nerve damage to his right leg and hearing loss in both ears, which makes it more difficult for him to perform basic daily functions. 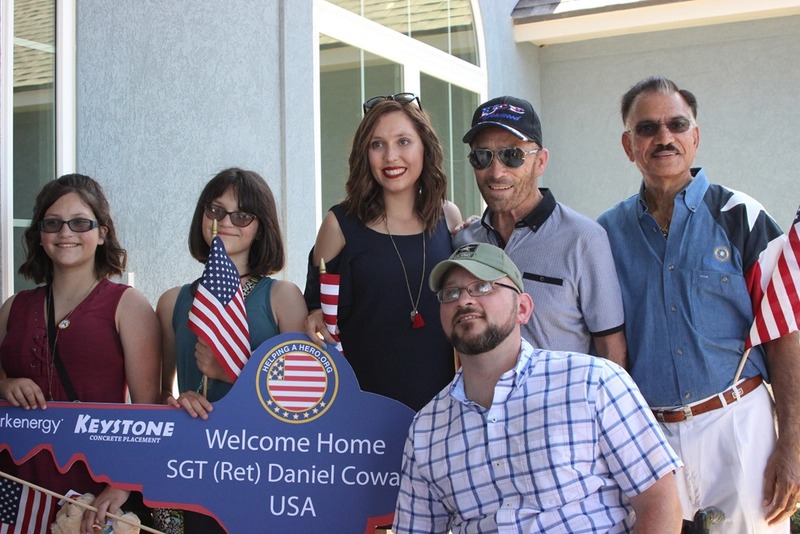 Having awarded over 100 homes in 22 states for wounded veterans, Helping A Hero partnered with Keystone Concrete to design a beautiful four bedroom, two-and-a-half bath home that is fully wheelchair accessible. It features wider doors and hallways, a roll-in shower, roll-under sink, and adapted toilet area to make daily life easier for Sergeant Cowart and his caretaker and wife, Sarah. Cowart is currently working on his college degree and wants to work with other wounded veterans to assist with their recovery. 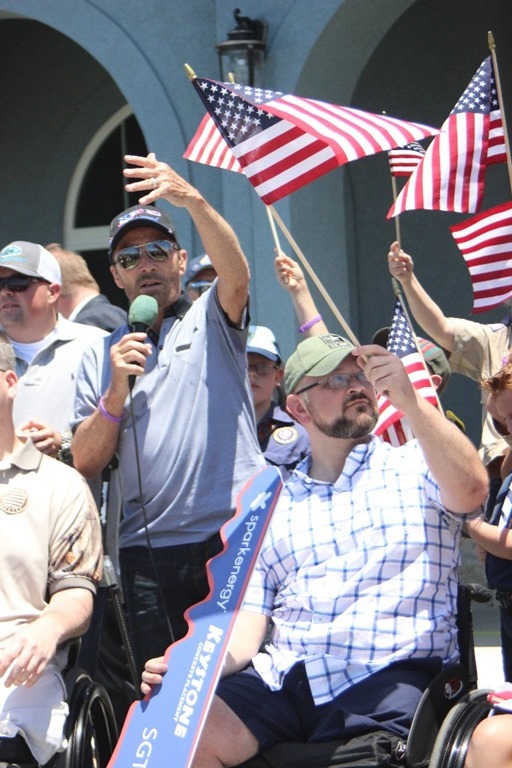 He believes sharing his story and encouraging other wounded warriors to press through the pain and challenges of recovery will help each of them transition to civilian life more successfully. He credits his wife and their twin 11-year-old daughters, Alyssa and Avalon, with being the source of his strength in his recovery. These homes would not be possible without the generous support of sponsors. Keystone Concrete donated materials and labor from start to finish of the home’s design process. Spark Energy donated electricity for the home for an entire year. The home’s furniture is being discounted by Rooms to Go and funded by Rotary District 5890. Rudy’s BBQ donated a lunch following the Saturday Welcome Home Ceremony. Learn more about the Helping A Hero Wounded Hero Home Program at HelpingAHero.org. To make a difference in lives of heroes like Sergeant (Ret.) Daniel Cowart, visit www.HelpingAHero.org/Donate. Follow us on Twitter and “Like” us on Facebook. Spread the positive word using the hashtag #EmpowerHeroes. About Helping A Hero Founded in 2006, Helping A Hero provides support for military personnel severely injured in the war on terror by providing specially adapted homes for qualifying service members through partnerships made with the builders, developers, communities, and the wounded warriors. 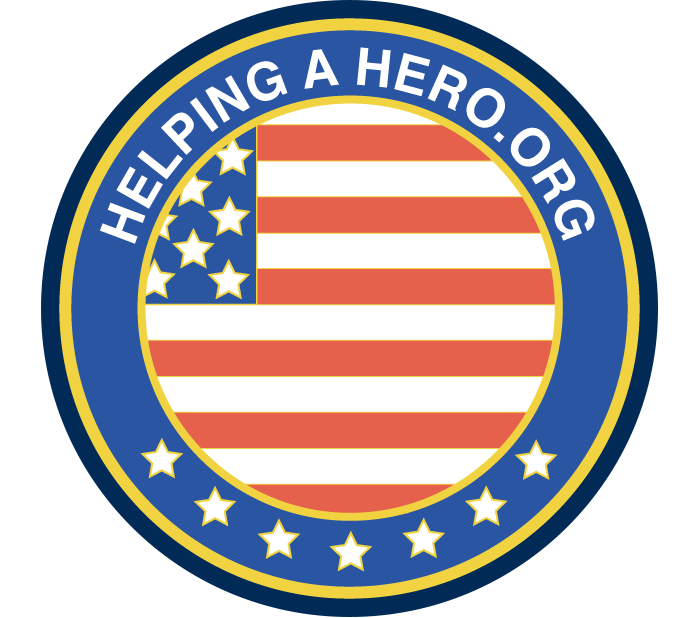 Helping A Hero strives to engage the community in providing services and resources for our wounded heroes and their families. Additionally, the nonprofit organization provides additional support programs such as marriage retreats, caregiver retreats, recreational activities, emotional support, and financial support.